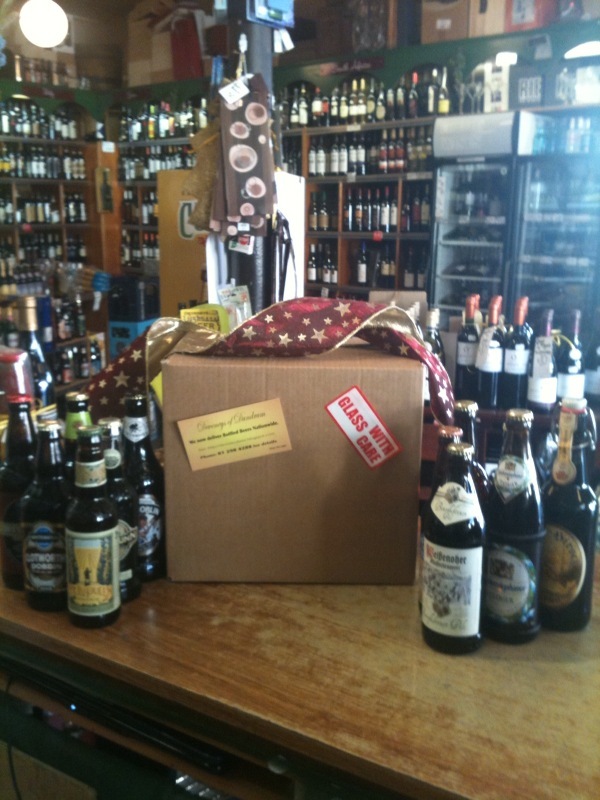 Deveneys of Dundrum: The ''Deveney's Beer Box'' delivered nationwide. The ''Deveney's Beer Box'' delivered nationwide. Please order via email or telephone, payment required pre delivery. Labels: The ''Deveney's Beer Box'' delivered nationwide. Cool... and I dont work in accounts!!!! It wasn't you Brian that I was speaking of but I'm sure that you'd appreciate a Beer Box all the same! Would love to see her but she can also order on line, if suits better. I was in with you yesterday buying bottles of Paulaner Oktoberfest and Peroni. I love this idea of your beer box and will definitely be ordering one for himself for Christmas but have you thought of expanding it to a beer club membership? so that members would get a new beer every month on top of their Xmas hamper or else vouchers that allowed them to claim two bottles every month. It would be a gift that kept on giving! I have thought of it but delivery is expensive so delivery per bottle would work out far too much. We do run a beer club if you're interested. We meet once a month, the next tasting is November 6th - Saturday.